Easy to apply. A light wipe with a duster brings out the shine. Resists dust and finger markings. Highly concentrated silicone formulation for economy in use. Cleans and shines as you dust. Pleasant waxy lavender perfume. A superior spray polish for furniture, tiles, marble, stainless steel and most plastic and vinyl coated surfaces. Removes finger marks, surface dirt, smudges etc, and produces a glowing finish to be proud of. 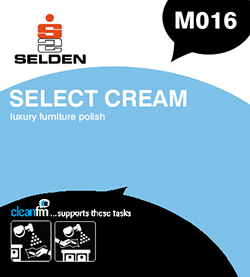 Eliminates vigorous polishing but brings up a brilliant, protective, long lasting shine. Shake well before use. Decant into trigger spray bottle, Insert sprayhead and screw securely to the bottle. Spray sparingly onto furniture or duster and polish as usual.